The Poet Laureate, George Elliott Clarke, and one of Canada’s great vocalists and actors, Shelley Hamilton (she’s also George’s cousin! 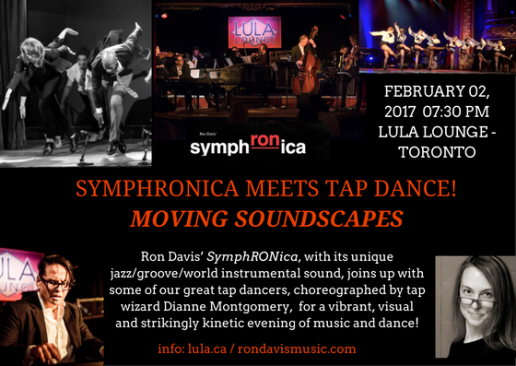 ), join Ron and SymphRONica for a brilliant evening of eclectic jazz/groove/world/classical music and spoken word. Directed by: Aria Umezawa. 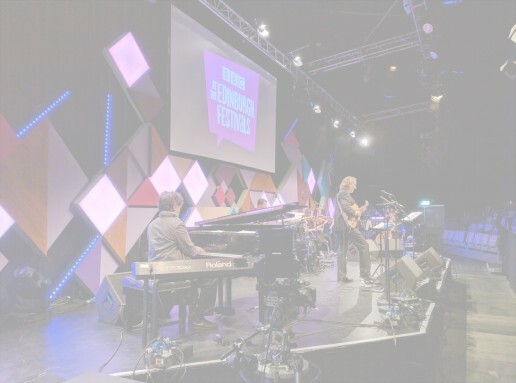 Ron and guitarist Kevin Barrett are the featured players in a special quintet for the Saturday evening show at Scotland’s leading jazz venue. A straightahead jazz quartet performance at a unique underground bar and club located in the heart of Glasgow’s city centre. The killer band features Kevin Barrett (guitar), Calum Gourlay (bass) and Alyn cosker (drums). Ron and SymphRONica will be bringing their brilliant and eclectic mix of jazz, world, groove, pop and classical to one of London’s and the U.K.’s finest and praised music venues: The Forge in Camden Town. 7pm to 9pm Dinner at The Forge – Enjoy Latin Street Food at its best. 11pm to 12pm Reception with the Band and Sunshine! 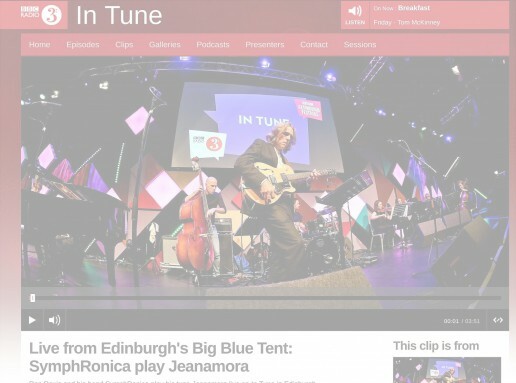 Following a hugely successful appearance in August as part of Ron’s appearances at Edinburgh Festival Fringe, he and his SymphRONica jazz/world/groove/classical music project will be featured again on BBC Radio 3’s prestigious “In Tune” show, live from London’s great Southbank Centre. Come by or listen live!